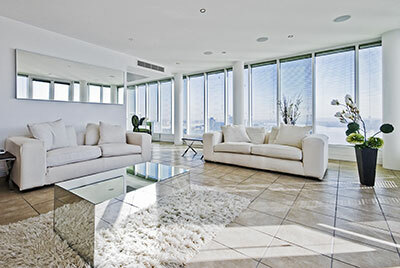 Area rug repair is just as critical as regular cleaning and maintenance. When area rugs are left without repair for too long, you’ll find that their damages will quickly worsen overtime. As a rug owner, you’re probably all too familiar with the potential harms to your area rug: from cigarette burns and chemical spills, to furniture indentation, rips, tears, water damage, and much more, the list could go on and on. Fortunately, our team of rug repair specialists at Boynton Beach Oriental Rug Cleaning Pros is here to help with all of your repair needs. There are several reasons why you might require repair services. The first and one of the most common is discoloration—the fibers of your area rug may discolor over time, not just due to dust and dirt, but also due to damage caused by excessive sunlight. Moreover, burns in the rug's fibers, holes in the rug due to acidic cleaning agents, regular wear and tear and even damage from beetles and moths are all cause for concern and can only be fixed by our rug repair technicians. ​Another common issue with delicate rugs is vacuuming damage – your rug may require special maintenance, and we’ll happy to walk you through each step of our customized repair process. Our repair methods can vary greatly depending on what damage was done to the rug, which is why we never begin our repairs until we’ve completed a thorough inspection of your individual rug. Our rug cleaning pros will not rest until your area rug is fully transformed back to its prior aesthetic, and no longer shows any visible signs of damage. We guarantee to make every repair with the goal of seamlessly integrating any alterations or changes so that they are invisible and blend naturally with your rug’s former beauty. We understand that area rugs can be exquisite additions to your home, but depending on how they're made, caring for them may be difficult. High end, hand-knotted Oriental rugs, for example, require a very careful, very specific type of care to ensure their fibers stay in tact, colors don't migrate, and their value is preserved. Rug repairs are not easy work, and in fact even the smallest repair on an area rug requires meticulous and precise work to produce a successful final product. Luckily, our staff has a wealth of knowledge and experience to effectively perform any repair, regardless of the size or the extent of the damage. We’ve seen area rugs and carpets that have been in all states and conditions, and we’ve been able to complete even the most difficult jobs without errors and on time. Thanks to all of our previous projects, we’ve gained unmatched experience and we’ve become fully aware of any difficulties that could arise as we complete our repair—and we’ve learned how to deal with them accordingly. No matter what the circumstance or damage, you can rest assured knowing that your area rug is in the right hands with our team at Boynton Beach Oriental Rug Cleaning Pros.